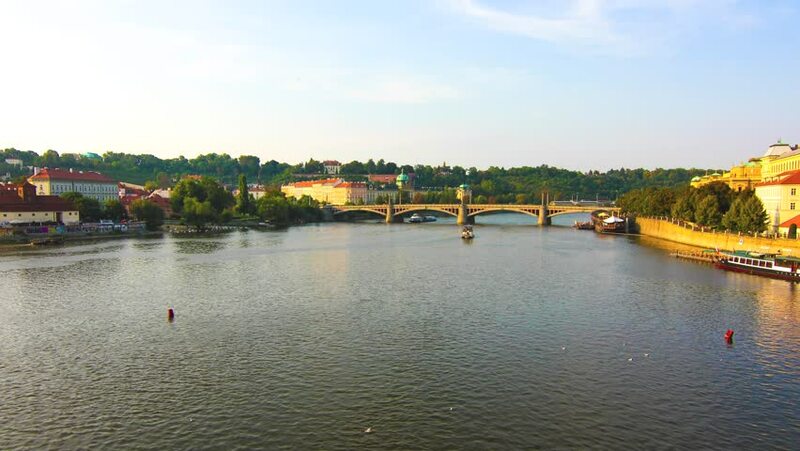 PRAGUE, CZECH REPUBLIC - SEPTEMBER 9: Timelapse of the Vitava River as seen from the Charles Bridge on September 09, 2014 in Prague, Czech Republic. 4k00:30AERIAL: Seagulls were frightened and fly up from the water surface. Country views and mountains on a background. Reflections on the water during sunrise. hd00:12Wroc?aw, Lower Silesia, Poland - June 17, 2016: Excursion boat on the Oder river in Wroclaw.